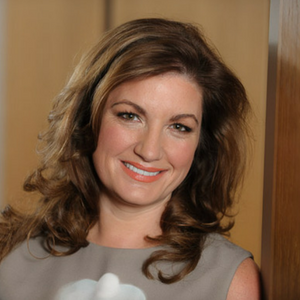 Baroness (Karren) Brady CBE, businesswoman, peer, ‘first lady of football’, and Alan Sugar’s aide on The Apprentice, became MD of Birmingham City at the age of just 23, and is now one of the UK’s best known business personalities. After starting out in advertising, Karren’s first contact with David Sullivan, then owner of Sport Newspapers, was through selling him air-time on LBC. So impressed was the businessman that he employed Karren and she was quickly appointed a director. Upon hearing that Birmingham City had gone into receivership and was for sale for £1, she famously persuaded David that she could run the club. He bought it, and installed Karren as Managing Director. Within 12 months Karren had turned the club around, recording a profit. In four years she became the youngest MD of a PLC when the business was floated with a value of £25million. She steered the club to huge successes on paper and on the pitch and through the many challenges the football and business worlds bring. Karren left the club when it was sold for £81million. When David Sullivan and his business partner David Gold bought West Ham United, Karren was appointed Vice-Chairman where, amongst other things, she negotiated the team’s move to the Olympic Stadium. In her characteristically no-nonsense but entertaining way, Karren speaks about running the business side of a major football club – through promotion, relegation, controversy and even brain surgery. Known for her resilience and focus, she describes how to combat fear of failure and energise the team, and why hunger is always your most valuable asset regardless of your organisation or industry. Aside from football, Karren has served on the boards of Mothercare, Arcadia, Channel 4 and Sport England. She is an active member of the Lords and a Government small business ambassador, and advises the parliamentary Women in Sport Advisory Board. She has written autobiographies, business books and novels, and has written for a range of national and local newspaper titles.